To ensure that your wooden worktops remain in prime condition, you will need to maintain them on a regular basis. 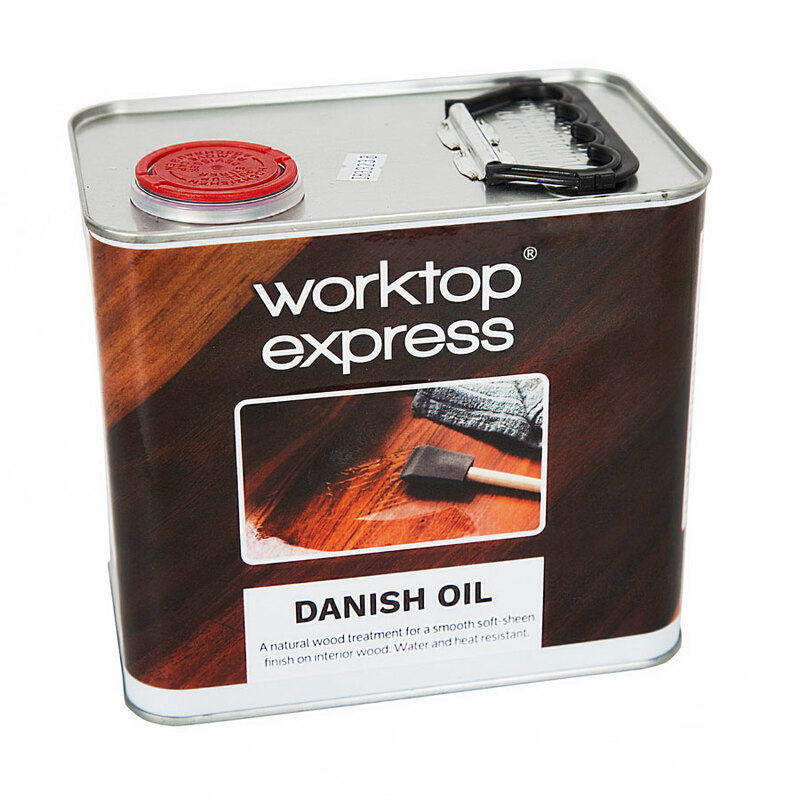 Our 2.5L tin of Danish oil is the ideal treatment for your solid wooden worktops. Combining a blend of oils, this worktop oil will give your surfaces a smooth and soft-sheen finish whilst helping to maintain their water and heat resistance. Using a clean, lint-free cloth, apply the Danish oil liberally to the surface of your wooden worktop, ensuring that you remove any surplus oil when you have finished. Drying takes a minimum of 3 - 4 hours, after which you can reapply if necessary. We recommend applying 1L of oil per 3 metres of worktops - this 2.5L tin will cover 7.5 metres. As well as using it during your regular maintenance regime, we suggest applying this worktop oil before installation too.